Kane began life as an Adviser in 2009 after several years with the Department of Immigration and Citizenship. His final position with the Department was as a Business Integrity Officer and he has a wealth of experience both within the fields of business migration policy and student policy. 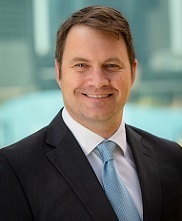 Kane has a Bachelor of Business Management and Accounting as well as Graduate Certificate in Migration Law and is a Registered Migration Agent.